Cakes, Cuppies And Other Confections: We scare because we care! 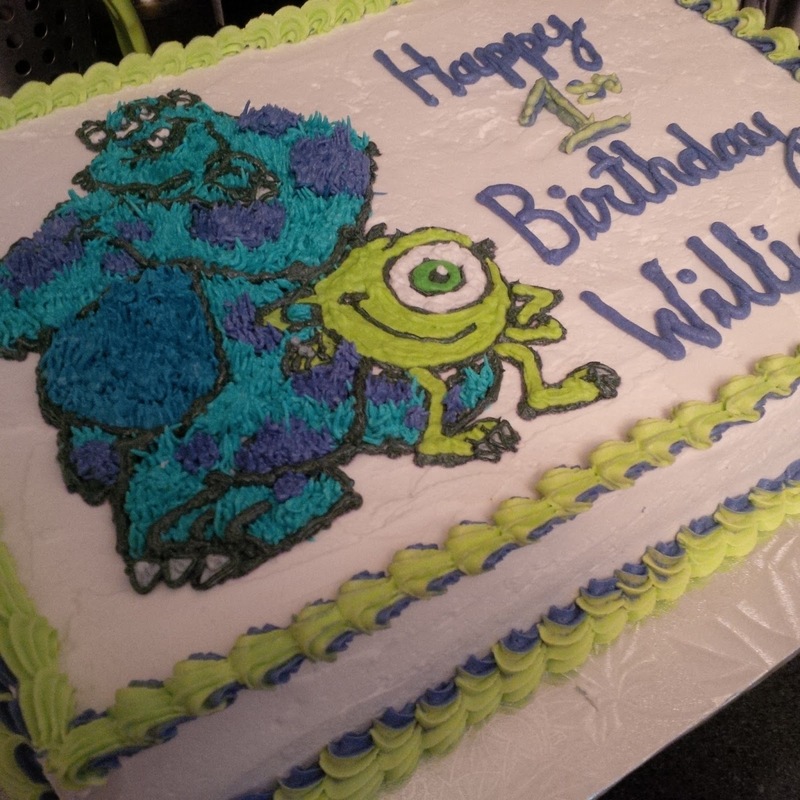 Monsters Inc. is one of my favourite Pixar movies and makes a great theme for a children’s birthday party! I really enjoyed making this cake. 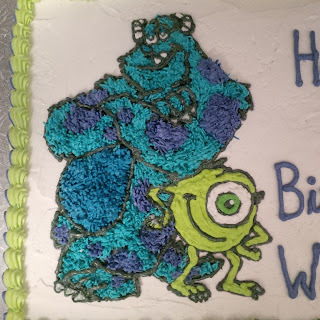 Buttercream drawings are how I got my start in cake decorating. I love how vibrant and textured the decorations come out. Don’t get me wrong, fondant creates beautiful, smooth and detailed cakes, but there is something about buttercream that just makes it feel so authentic. 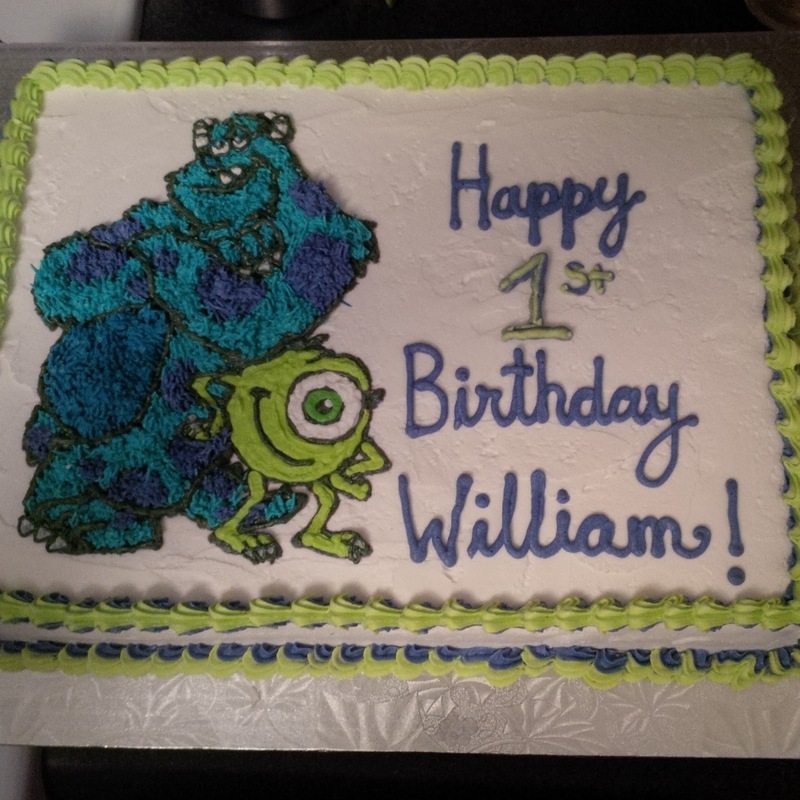 This cake was made for a little boy celebrating his first birthday! They wanted to make sure everyone at the party was happy so they requested the cake be half vanilla and half chocolate. I really like my vanilla butter cake recipe, so I made sure to use that and decided to try out a chocolate butter cake recipe for the other half. Both turned out great. Light and moist. I used vanilla buttercream for all the decorations and was very pleased to be able to test out my new ‘americolor’ gel paste food colours to create Mike and Sully! July cupcake of the month!